A number of beautyful lady want to have shiny and charming big eyes, want to put a 3d Mink Strip Lashes Beauty to make your eyes more fascinating, but sticking 3d Mink Strip Lashes Beauty seems really not an easy thing! I want to quickly and easily stick out false eyelashes, but I don’t know how to start? 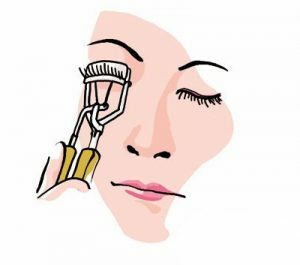 Below, I will find a set of ultra-easy and easy-to-understand hand-painted pictures to teach you how to stick false eyelashes, completely illustrated, and you will see it at a glance! First of all, girls who are just beginning to learn false eyelashes are advised to choose the entire row of false eyelashes, because they can easily create an electric eye effect according to the density you choose, and the makeup is clean and powerful, regardless of the paste. It is also simple and convenient to remove makeup. Also, before sticking false eyelashes, be sure to use a small brush to comb the neat eyelashes, then apply the layer of powder under the eyes to make your makeup look cleaner. 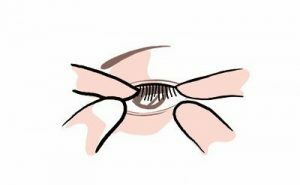 In the first step, after drawing the eyeliner, you must first bend the true eyelash curler with the eyelash curler as shown above, so that the true eyelashes and the next false eyelashes can be blended better. In the second step, we use the tweezers to take out the false eyelashes, then use both hands to grab the ends of the eyelashes and gently bend them a few times. This will make the false eyelashes er er softer, here to face their own eyes in the mirror. Adjust the curvature of the false eyelashes by the arc. 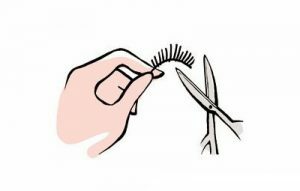 In the third step, the length of the false eyelashes is trimmed by scissors, and the length is slightly shorter than the length of the drawn eyeliner. Note that the area of ​​the eye should not be too long, because it will feel very uncomfortable if it is too long. 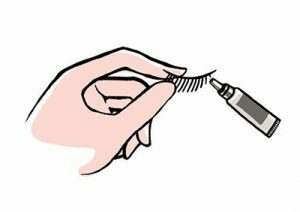 In the fourth step, a special glue is applied to the root of the false eyelashes, and the ends of the false eyelashes can be slightly coated. Don’t wear it immediately after painting, but wait for about ten seconds, because the false eyelash glue will be slightly transparent and the best viscosity. 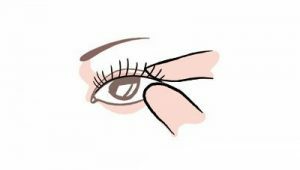 In the fifth step, hold the middle part of the false eyelashes with a small tweezers, first point it in the middle of the eye, and then stick the two sides in turn. Try to be close to the root of the eyelashes. Be sure to adjust the false eyelashes with a small cotton swab before the glue is solidified. Angle and curl. 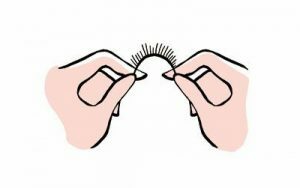 In the sixth step, gently press the eyelash bond with your fingertips to make it fully bonded. Finally, mascara is applied to the roots of the real eyelashes and the false eyelashes to complete the fusion. How about, follow the steps above to learn step by step, do you think that the false eyelashes are not as difficult as you think? After you become proficient, you can choose to use only half of the false eyelashes to stick the eyelids, or the single false eyelashes to fill the gaps of the real eyelashes. The basic method is the same, but you need more skilled sticking techniques, but it will be more natural. More god! ! What Is The Easiest Way To Remove 25mm Mink Strip Lashes?